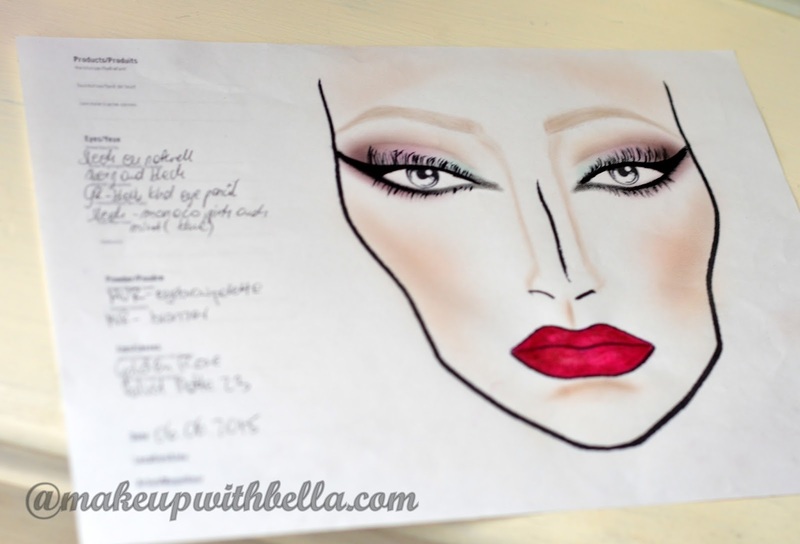 Makeup with Bella: FACE CHARTS- What is it about? 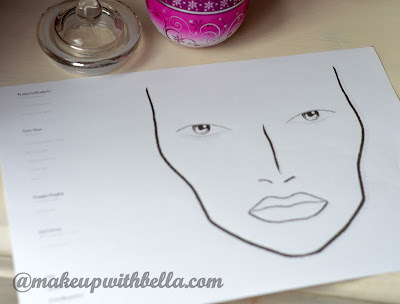 It's nothing but a piece of paper with the outline of the face on which we can create a new makeup. 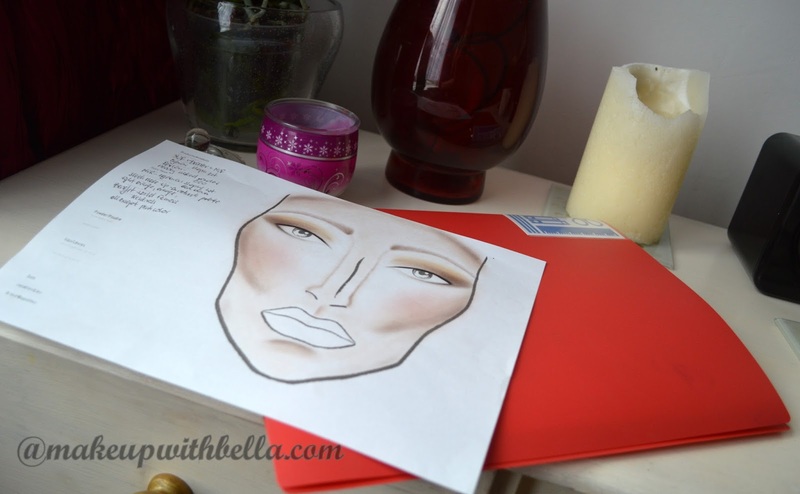 They're specifically designed for use with cosmetic products, the textured paper (similar to watercolor canvas) is durable enough for cream products but soft enough to hold powders. 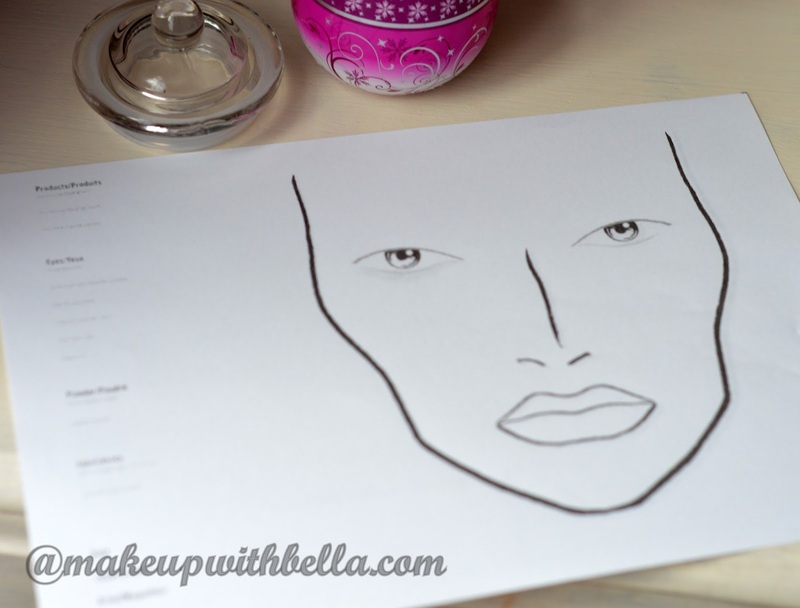 But you can download a face chart (Google "face chart") and print that out onto normal paper as well. What kinds of products can we use? We use the same cosmetics we use for face makeup except a foundations and liquid products which are not necessary. I like to use eyeshadows for a lot of my work, with eye pencils and lipsticks. 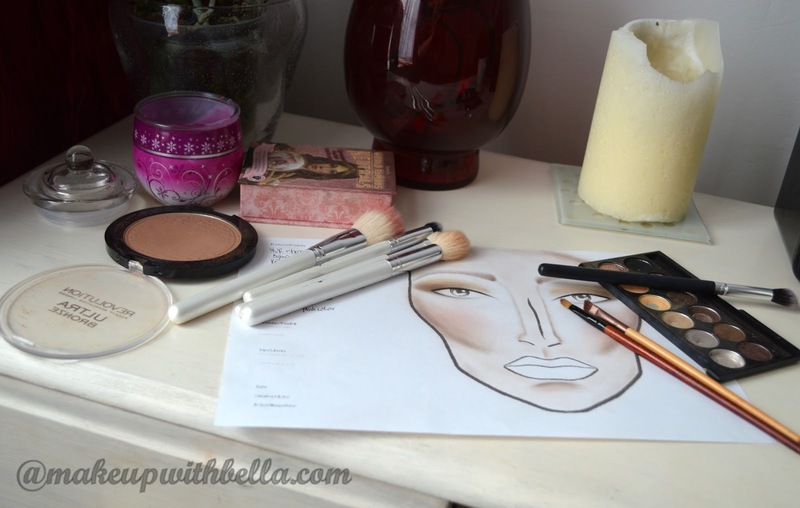 How do we contour the face? 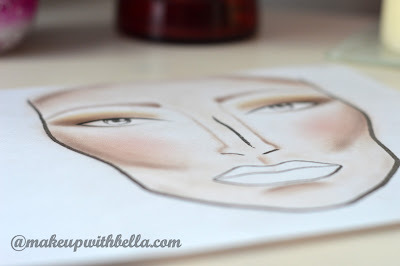 The bronzers, flesh- toned, taupe or brown eyeshadows, and contour powders work the easiest but we have to remember that since paper is white, even the palest hues will show up more intense than they would on real skin!!! What brushes should we use? We can use any brush we would like to but with the smaller, stiffer brushes that we might normally use for a task work well for face charts. Cotton swabs, inexpensive art brushes or even our fingers all make great tools to experiment with! How to create the lashes? 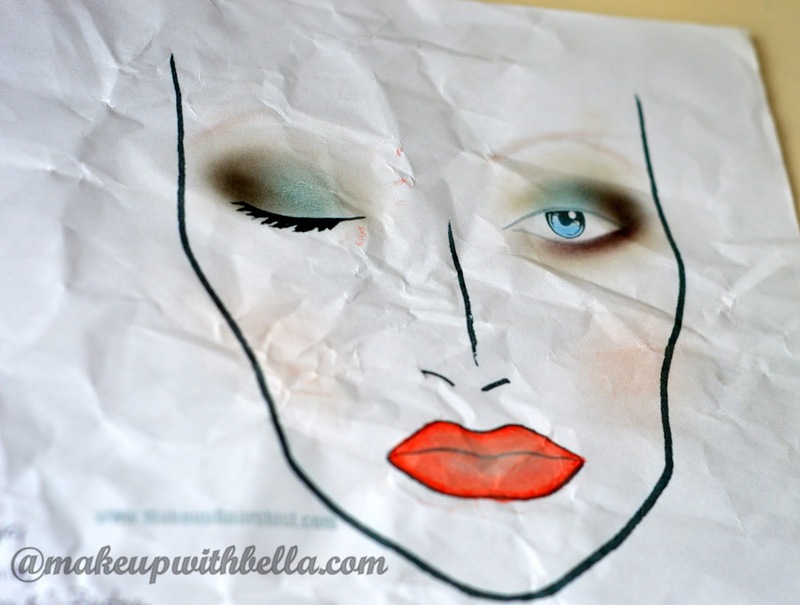 There are several methods but the most go- to product is liquid eyeliner. We use very small, detail brush to sweep the lashes on but we can try with mascara to create several lashes in one stroke. We can buy face charts on eBay or just Google the image of the face chart and print it out. And we are ready to start the fun and create!!! Ladies I hope these information helped and if you have experience already with face charts, let me know in a comment at the bottom!